This page shows where you might find the various additional resources and products that can help to overcome anxiety as well as where to find more detailed information on many of the topics covered. I have created an online course which can be done at your own pace. This gives greater detail about the Feelgood Way to overcoming anxiety than is available on this website alone. CLICK on the image for more details. CLICK image to go to information page. This book describes the Feelgood Way in more depth and details techniques and steps in applying it. There is a free chapter to download on the dedicated page. The book is available both as an e-book or in a print version. CLICK image for more detais. This book applies the Feelgood Way to obsessive compulsive disorder. A sample chapter is available on the page. The book is available either as an e-book or in print. CLICK on image for further details. This book describes the development of panic attacks and how to go about overcoming them. It is available as either and e-book or in print. 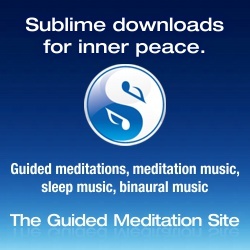 A site that offers various aids to meditation including guided meditation tracks, music for meditating and articles about meditation. The site also offers recordings of bells, nature sounds, music to sleep by, and many other goodies.